In old version of WCF, configuration files are not validated while building the project. But in WCF 4.5 while compiling the project, validation errors will be displayed as warning message in visual studio. 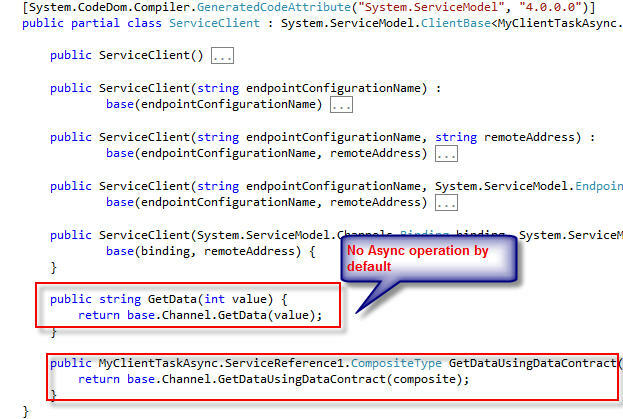 In WCF4.5, by default Task based async service operations methods are generated while Adding Service Reference. This is done for both synchronous and asynchronous method. 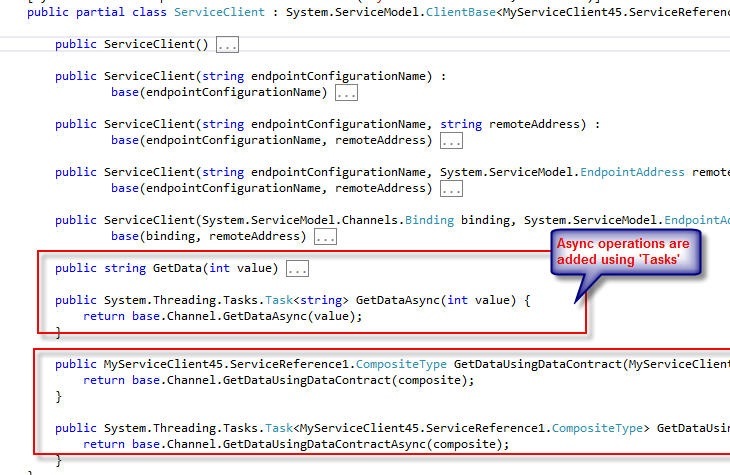 This allows the client application to call the service operation using Task based programming model.